Important Benefits of Staffing for Travel Nurses! | Nursing On Demand, Inc. Important Benefits of Staffing for Travel Nurses! Travel nurses refer to nurses hired to work in various locations, usually in short periods. They are not assigned to one area only. Rather, they are transferred from time to time depending on where they are needed. Nursing positions are in high demand. However, there are times when a shortage of staff happens. Travel nurses, then, can also be considered as one way for companies to temporary fill specific positions. One of the most beneficial points of being a travel nurse is the opportunity to see many places. Travel expenses are usually taken care of by the employers. Therefore, traveling is free for travel nurses. During your time off, you can explore the new cities and experience various things in the process. For some, travel nursing may seem as an unstable and risky career choice. However, you can make most out of it with the help of staffing solutions. For travel nurses, staffing solutions make it easier to find jobs. They are connected with companies that work together with the staffing agency. Most of the time, companies no longer post about hiring because staffing agencies do the hiring for them. As travel nurses, working with staffing agencies greatly widen your pool of job opportunities. No need to hunt down every vacancy on newspaper ads! Another benefit is that the schedule and perhaps, even the location can be matched according to your preferences and the needs of a company. You have the best chances of finding the right job for your needs. As travel nurses, time and distance are two important factors you need to consider and sometimes compromise with. However, through staffing, they can filter out employers according to your desired places and schedules. Is Travel Nursing something you see yourself doing? Nursing on Demand, Inc. can help you get there! 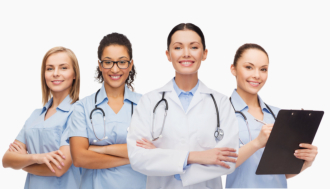 We are a Nurse Staffing Agency in Jacksonville FL that functions as a Medical and Health Staffing Recruitment Agency. We do our best to provide great opportunities for job-seekers in the healthcare community while at the same time, offering quality employee services to clients and employers. We have a wide range of job positions for healthcare professionals which include Travel Nursing! Other available positions are Nurse Staffing, Admin positions, Phys/Speech/OCC Therapy Staffing, and many others. As a Nurse Recruitment in Florida, we carefully choose applicants who are highly skilled, caring, and dependable. We employ only those who can deliver excellent health services to the various health institutions we work with. Interested in learning more about our staffing services? Get to know all about us by visiting our official site at www.nursingondemand.chscare.com. For further inquiries, please contact us at 904-387-9406 or email us at info@chscare.com. Let us work hand-in-hand in providing quality healthcare services.